​A challenge and a reflection all rolled into one. Anyone who looks, can see the terrible state of the world and how that affects the people in it, especially those with the least resources. But, if we look more closely, we can see "God alive and active in the world." Join with those who are following God's holy way. We give thanks for God's encouraging presence. Hymn TIS 156: “Morning has broken” Just as it did on that first morning, lifting our hearts and inspiring us to new possibilities. Thanks be to God. ​God of transformation and love, we come to this time of worship yearning for a vision and the promise of a better world. Open us to your dream. Strengthen us by what we see in the actions of our sisters and brothers. Inspire us with a vision of walking your Holy Way. May we sing with Mary, witness with Jesus, and make your dream a reality. Amen. God of the Holy Way, we see the world as it is, and despair of doing anything about it. There will always be wars. There will always be injustice. There will always be pain and suffering. Yes, Jesus worked miracles, but that was him, and that was then. Where is the hope now? Help us catch your vision, your dream for the world. Take from us our weak resignation. Help us realize that with you all things are possible, and that with you guiding our way, not even fools, like us, can go astray. Amen. God says to those who are fearful of heart: Be strong, do not fear! God is with us no matter what. The time is coming when all will know joy and gladness, when sorrow and sighing will flee away. Thanks be to God! Peace be within you! And also with you! Dreaming God, you have set before us a vision of what can and should be for your world and for your people. Use these gifts of money and resources to bring your vision to reality. We offer ourselves and our work, as embodiments of the promise, the vision and the pledge to bring your beloved community, here and now. Amen. Hymn TIS 188: “Where wide sky rolls down and touches red sand” A declaration of the vision of God as he declares himself in creation. Brilliant! Isaiah 35:1-10 An account of all creation breaking out in all God's glory. When I read any passage like this one, I think of the possibilities for people like us. James 5:7-10 If we think about it, it is a bit odd being impatient with God. He really does know what he is doing. Matthew 11:2-11 Was Jesus the One? Look at what's happening! And then Jesus tells them how John, as great as he is, is only part of the picture. John (our John, not the one in the reading) told of a time when he was "wowed" by all the wonders of an agricultural show. 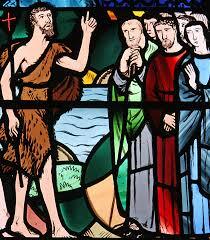 Jesus asked the crowds what they were expecting when they went out to hear John the Baptist. 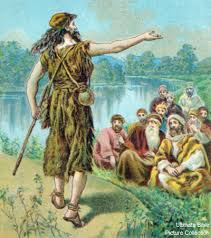 John said that he had a suspicion the people that day were just as taken aback by what they saw along the Jordan River as he was when arriving at those large A&P Shows. He was expecting to see a show that would take an afternoon to survey; he found a mammoth maze of exhibits. The people that day went out to the river probably expecting to see a madman putting on a religious show. They got a man announcing the advent of God’s Messiah. Many weren’t ready. Perhaps we’re still not ready. John was calling them to live redemptive lives. And then our John challenged us to think about what we would do when we left our safe church and went out to live the week in the world. "​​​Are we, the church, speaking truth to the powers that exist in our day and time, or do we fear ridicule and chastisement of those who pay the bills? Do we turn a deaf ear and a blind eye to injustice so that we won’t upset the people who are the power brokers in our congregations?" John was in prison because he was incapable of seeing evil without rebuking it. "​​​Our shock is to motivate us to speak truth to injustice just as John, Jesus, and his would-be disciples did in their own day." For that we have to be disciples, nothing less. ​​Hymn TIS 161: “Tell out, my soul, the greatness of the Lord” That takes courage. Courage to tell the world just how great God is. ​The coming of our God is at hand. Come, Jesus, come and save us. We pray for the world, for all places of conflict and strife. When you come, the broken, bleeding lands are healed, places of death blossom with new life. Come, Jesus, come and save us. John continued to pray for the victims of this broken world, asking God to come among us. Then we joined in the Lord's Prayer. Hymn TIS 687: “God gives us a future” In the service to this point we have been given a mighty challenge. Here is more of the same but with encouragement to send us along. Do we dare? Benediction.​​​The Holy Way of God lies before us— a way even fools cannot stray from. Let us walk God’s Way, with the strength and the promise of God in our hearts, with the song of Mary in our souls, and with the example of Jesus to guide our steps. Amen. ​​On the journey toward Christmas, God calls: change your hearts, transform your lives, and prepare the way of the Lord! As we prepare to grow with God, we nurture love and understanding. ​As we prepare to grow with Christ, ​we bring forth justice and peace. The Spirit of God conceives new life and hope ​in our midst... ​​​God of peace, we light this second advent candle​​... may we who are also ​​searching, find strength, hope and vision in this tiny light. ​​Sometimes weak, sometimes small, often vulnerable ​​– we are ONE with the many who kneel in hope and trust for themselves, their children and this world...​​We bring our prayers, written, spoken or silent – ​​And place them within this circle. God of immeasurable love – you are near. Hymn TIS 275: “Hail to the Lord’s anointed” Jesus' arrival signals a new order and nothing will be the same. "The tide of time shall never his covenant remove; his name shall stand forever, that name to us is love." ​Nurture us with the bread of justice. Strengthen us with wine of compassion and peace. Shower us with wellspring of hope and promise, live in us this day, that we may grow in stature and grace. In Christ’s name, we pray. Amen. Holy Spirit, send your cleansing fire into our lives, that we may bear the fruit of righteousness. When we create division where peace is most needed, lead us into the ways of life. When we cling to old patterns that destroy, straighten out the crooked roads of doubt and despair. When we harden our hearts against love and kindness, soften our hearts so that love guides our paths. Grant us the peace that passes all understanding, and nourish us with hope and faith, that we might walk in your ways and bear the fruit of your love. Christ is God’s branch of mercy and grace— the promise of new life out of death and despair. In Christ, we are freed to begin anew, and to grow in the love of God! Thanks be to God! Bless these gifts, O God, that they may become justice for the poor, deliverance to the needy, and hope to the oppressed. Bless our gifts, Holy One, that we may grow in your grace, and produce the fruit of your Spirit: Love, peace, hope, and joy. Hymn TIS 270: “On Jordan’s bank the Baptist’s cry” ​​​ With Jesus' baptism, his mission became public and the world started changing right then and there. And now, faithful God, send us your Spirit to feed us with the body and the blood of our Saviour, Jesus Christ: Blessing and honour and glory and power are yours for ever and ever. Amen. Lamb of God you take away the sins of the world, have mercy on us. Lamb of God you take away the sins of the world, grant us peace. Come and eat, the banquet awaits. Eternal God, we thank you for this holy mystery in which you have given yourself to us. Send us into the world in peace for we have seen, have heard, and been fed by your grace. The Service of the Word The readings were delivered by Mae. Isaiah 11:1-10 He is coming who will set the world aright. Matthew 3:1- 12 John the Baptist prepares the way of the Lord. If we think about it, John's Jesus was far more judgmental than the real Jesus who seemed more interested in lifting the burdens that weighed down people. God of mercy. For the Word of the Lord. ​​​​Thanks be to God. These are the words from John's sermon that jumped out and grabbed me. The reading from Matthew points past the time of the birth of Jesus which is our immediate focus, to the reason that Jesus entered history. People had well and truly lost their way and needed to be stunned out of their lack of understanding of God's plan for them. John had no qualifications. He simply showed up out of nowhere with a passion for the message he preached. He told the people that it won't be easy; that self examination and confession is needed; we need to think about what separates us from God; we need to give serious thought to what we are without God; we need to think about how we can contribute to the mending of a broken world and how we can possibly do that without God; we need to open ourselves to be shocked out of our complacency and John tells us the old story that it's about the love of God that gathers us up to be a child of a God. Hymn TIS 616: “O day of God, draw near” A Prayer that God will, in fact, draw near and do his work in our lives. John led us in prayer for all those who suffer or who are burdened in this world, whether known to us or far away. He prayed particularly for the oppressed and exploited and victims of any sort of violence. He prayed that leaders accept their responsibilities and that those of us living in shame will realize that the love of God can lift us up. He asked that Jesus come to us. We then joined in the Lord's Prayer. Amen. ​Hymn TIS 264: “Hark! a herald voice is calling” Jesus is here today for anyone who turns to him and accepts the invitation that has always been there. May God fill you with peace. May God fill you with joy. May God bless you with hope and love. ​​​And may the whole earth be restored to hope, the heavens sing aloud with the promise of good to come and God in three persons, the Holy Trinity be with you all in each moment of your lives. ​"​A light shines in the darkness. A prayer for peace is uttered in the silence. God’s people gather to wait with hope." 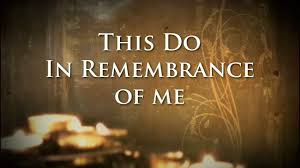 We were reminded that as we enter into this time of worship it is time to leave behind any animosity within, which is incompatible with our approaching the God of love, and to quieten our minds and focus on worshipping him. This is a time of opportunity: opportunity to centre ourselves on one of the central events of our faith. 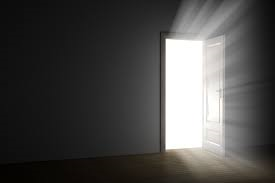 The event where in the darkness of our world we are given the promise of being able to turn to the light. This is a time when we recall that God is always present and to wait upon that presence. To open ourselves to that presence, so that others will be aware of it within our lives. "​God of hope, we come before you full of expectation for what lies ahead." John continued to pray, speaking of the excitement of the celebration to come and the need to prepare ourselves to be open to God's grace: grace that will meet that longing for peace and reconciliation - between ourselves; between us and God and throughout the whole world. If we do this without holding back, anything is possible. Amen. Merciful God, how many times have we wandered?...Loving God, help us turn our lives to you, that we may be ready when your Son is born, among us and within us. Amen. Jesus proclaims, “Keep awake.” Brothers and sisters, awaken to a new day— a day when our lives are filled with the forgiveness and the mercy of our loving God. Thanks be to God! Holy One, take these gifts and turn them into merciful actions for your children everywhere. May these gifts be the spark that allows others to walk in your light, and to dwell in your love. Amen. The First Reading: ​​​Alan read to us from: Isaiah 2:1-5. 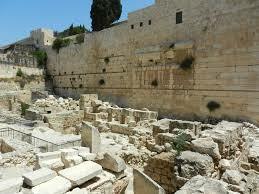 Isaiah saw that the house of Jacob held the message that led to wholeness and justice in the world. For me, there are people who live the wisdom of God and to whom I look for example and inspiration. Gospel Reading:​​​​ Matthew 24:36-44. This warns the people that they will get no warning of the judgement. For those who live close to God, this is not any sort of threat and not so important for us who have thrown ourselves upon God's mercy. John reminded us of all the extra pressure that people experience at Christmas time. John told us of the increase in depression and suicide rates at Christmas time and a medical practitioner friend of mine told me that 3 o'clock Christmas Day sees the highest number of psychiatric hospital admissions of the whole year. It's the most joyous time of the year, for Christians and many others but it doesn't require much imagination to see why it all turns bad for some. How can we guard the preciousness of Christmas while providing a special time for family and friends? When we accept the Advent's invitation to wait and wonder, to be awake and expectant, we find ourselves in good company. This week Jesus tells his disciples he will return at an unexpected time. He will arrive like a burglar breaking into a house. The disciples are left to wait and wonder." Dear Lord, our Heavenly Father, thank you for answered prayer and that you hear our cry for help and comfort. Help us to wait for you. Our world is troubled by war and terror and natural disasters. Grant us peace, please. We silently bring before you the prayers of our hearts: the things that we don't want to talk about. (Pause).Grant us peace dear Lord; show us your way. Help us to reach out to others and show them your love. Delma then prayed for the concerns of the congregation and following that, we joined in the Lord's Prayer. ​​​Brothers and sisters, our Advent journey has begun! Go from this place worshipping the one who brings forth light and love, joy and hope. Go in peace in the name of God creator, redeemer and giver of life. Amen.